The Children’s Advocacy Center of Suffolk County (CAC) offers high quality, evidence-based trauma services to children, teens and their families to address their symptoms. Children and teens impacted by trauma abuse often experience symptoms including fearfulness, anxiety, frustration in school, sleep problems, and challenges with relationships. 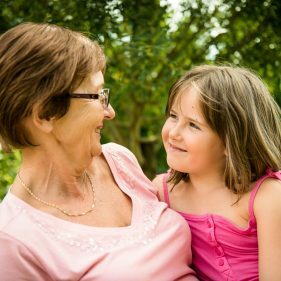 Sometimes children may keep these difficulties hidden, even from their trusted and supportive caregivers. Developed by the Yale Child Study Center, CFTSI is a brief (5-8 sessions), evidence-based treatment for children and their caregivers to help families better understand their reactions to what has happened, reduce the child/teen’s trauma symptoms, and enhance caregiver support. CFTSI is provided by licensed mental health staff onsite at the CAC at no cost to families. Work with the clinician to determine whether additional, longer term support is needed. When a child or teen has a traumatic experience, prompt intervention is beneficial. Often, caregivers are not aware that specialized mental health services are available or how to access these services. Frequently, families face months-long waiting lists. The CAC is pleased to provide CFTSI to fill a gap in the type of services available in the community and to provide short-term, effective assistance immediately after exposure to abuse and violence. CFTSI services are available in both English and Spanish and are provided at no cost to families. Who can benefit from CFTSI? Children and teens, ages 7-18, who have recently experienced a traumatic event, including sexual/physical abuse and/or family/community violence can benefit from CFTSI. My son just told me about being sexually abused. I think he is relieved that he told and seems fine. Does he really need counseling? Not all children who are abused show obvious symptoms. One benefit of CFTSI is that it begins with a trauma screening. You and your child will each complete a short questionnaire that helps us identify trauma symptoms and informs whether CFTSI or other counseling services are recommended. Won’t talking about the abuse just make my child more upset? We just want to move on with our lives. In CFTSI, the sessions focus on reactions and symptoms that you and your child are noticing - rather than on the details of the abuse or traumatic event. While the passage of time may help a child heal, sometimes, when not addressed, troubling feelings and symptoms may grow deeper over time. CFTSI helps children learn to process these feelings and cope. Do I have to participate in every session? Wouldn’t it be better for my child to talk to a counselor in private? Research has taught us that support from a trusted caregiver is essential to a child’s recovery. CFTSI helps to strengthen communication about the trauma between you and your child by meeting together with the clinician. When needed, the CFTSI clinician can also meet with you and your child separately. 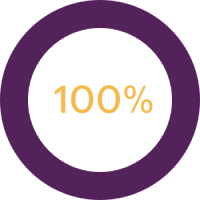 100% of caregivers completing CFTSI felt better able to assist their child.